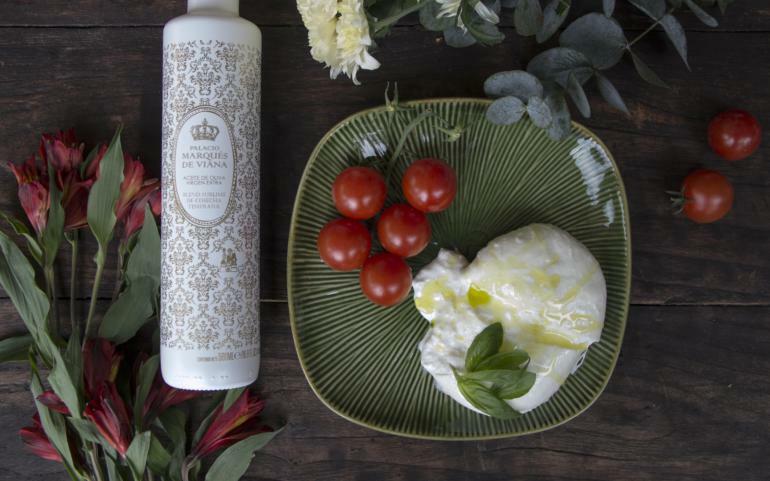 INGREDIENTS Cherry tomatoes Fresh burrata Fresh basil leaves Palacio Marqués de Viana Blend EVOO INSTRUCTIONS Simply arrange all the ingredients on a platter and finish with our Palacio Blend extra-virgin olive oil. Just as delicious as it is simple! And thanks to our EVOO with its hints of tomato and mint, it will leave everyone astonished.